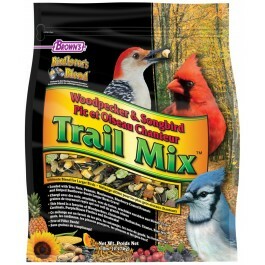 This gourmet blend is designed to attract a variety of large songbirds. 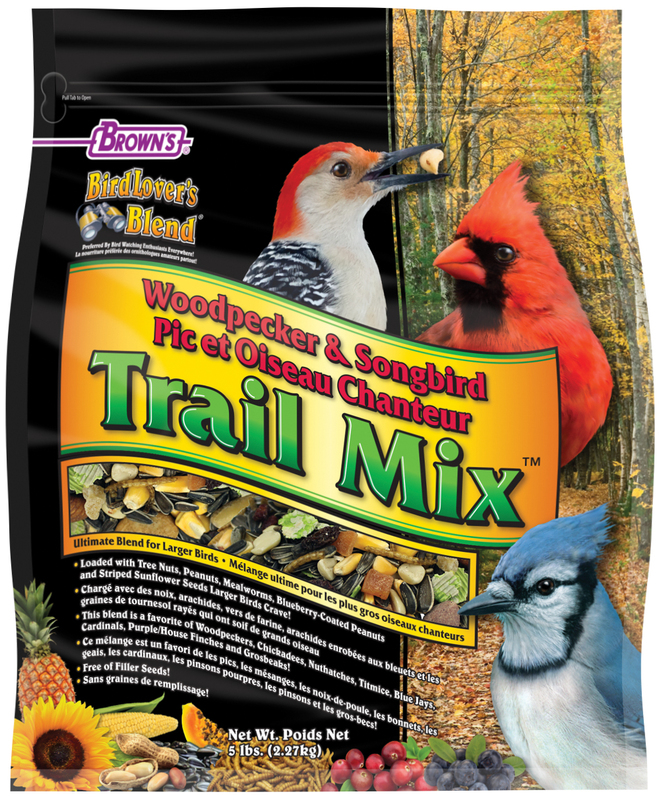 Bring Nature to Your Backyard: Our Woodpecker & Songbird Trail Mix™ blend attracts nature’s most colorful feathered friends, especially woodpeckers. They’ll love the natural ingredients such as shelled almonds, cashews, peanuts, and sunflower seeds…ingredients that are rich in fats and protein. Plus, we’ve added luscious raisins, papaya, pineapple, and blueberries to create a rich blend they’ll crave. We believe this is simply the best wild bird food available and is sure to bring all the rewards of this enjoyable hobby. A Gourmet Blend: This isn’t your ordinary bird food! No fillers here, just real fruits, high-fat seeds and nuts woodpeckers and songbirds crave. Natural, Super-Cleaned Ingredients! We super-clean all our ingredients to ensure the healthiest blend available for your birds. Our natural ingredients are what birds love most. Attracts the Most Species! This blend is a magnet for all native woodpecker species, and it will keep them coming back to your feeders throughout the year. Songbirds like cardinals, blue jays, chickadees, and nuthatches will love it too! 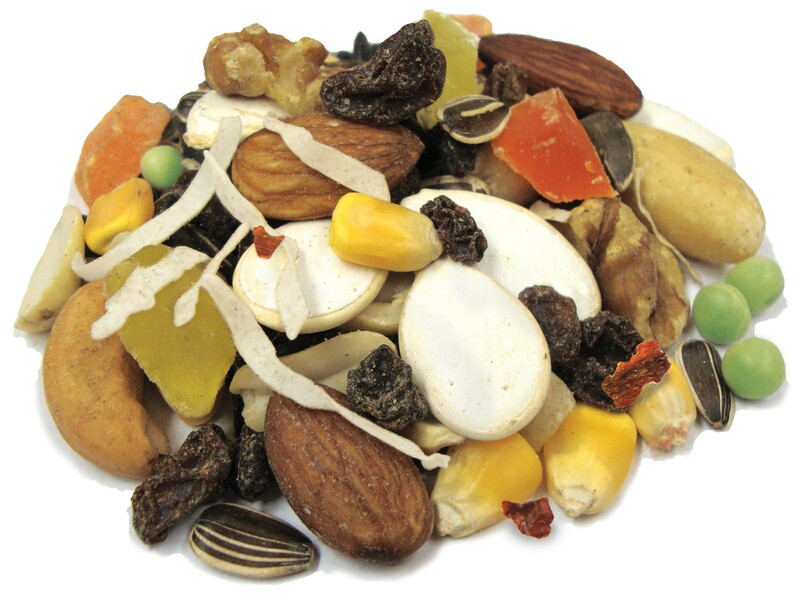 Striped Sunflower Seeds, Corn, Peanuts, Mixed Feed Nuts, Flaked Peas, Dried Papaya, Dried Pineapple, Raisins, Dried Cranberries, Dehydrated Mealworms, Dehydrated Blueberry, Wheat Flour, Sugar, Corn Starch, Sunflower Oil, Apple Cider Vinegar, Colors Added (Red 40, Yellow 5 & 6) and Sulfur Dioxide (a preservative).